I spent part of the day with my Second language singer playlist playing in the background as I walked along and worked at my treadmill desk. My favorite group and by far the best representation of a multinational group singing in English is Outlandish. So inspiring to our students! 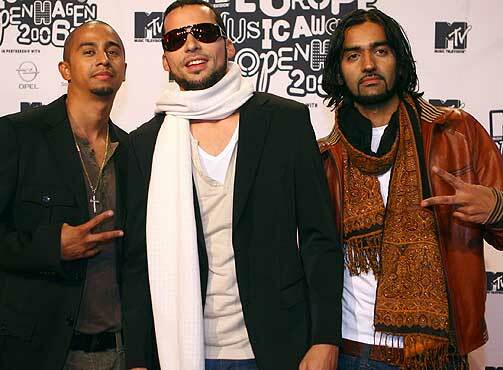 The group consist of a Moroccan, a Pakistani, a Honduran, all singing in English while based out of Denmark. A plus is that their songs are about global issues, issues people around the world face. They get my vote by far! The greatest Second Language Singing Group (SLSG) ever. Here’s a short interview with them. Checkout the others I recommend and the songbook for teaching on the Second Language Singer page. Enjoy this fine example from Outlandish!